We’re currently working on the remarkably warm and humbling documentary film, Imba Means Sing, which releases digitally worldwide this Friday, December 4th! The film follows three young Africans who have been selected to participate in the Grammy-nominated African Children’s Choir. Their journey will uplift and inspire audiences around the globe and 100% of the filmmaker profits go back to the choir. 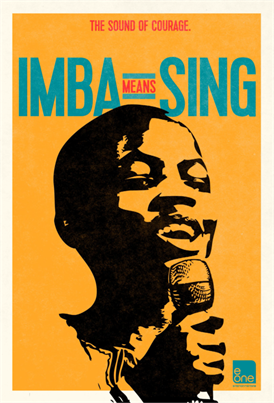 Imba Means Sing - When I Grow Up from eonefilmsUS on Vimeo. Imba Means Sing - Baseball from eonefilmsUS on Vimeo. Los Angeles, CA – November 9, 2015 – Spanning locations across the world, from the slums of Uganda to the streets of New York, this uplifting and inspiring film weaves together the lives of three young Africans who have been selected to participate in the Grammy-nominated African Children's Choir.